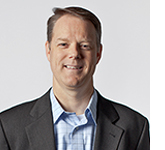 Intellinet, a management consulting and Microsoft-centric technology services firm, announced today that CFO Brian Benson was selected as a finalist for the Atlanta Business Chronicle's CFO of the Year Award. Brian Benson joined Intellinet in 2006 as Director of Finance and initiated a series of accounting and financial management policies and practices, providing the vision and acumen to position the organization for growth. As CFO and a member of the senior leadership team, he is responsible for the internal operations of the company including Finance, Legal, Human Resources, and IT. Since 2008, the CFO of the Year Awards have honored Atlanta's leading chief financial officers. The list of honorees is developed through peer nominations and finalists and winners are selected by a panel of expert judges assembled by The Atlanta Business Chronicle along with the Association for Corporate Growth (ACG). "We are very excited that Brian's leadership and accomplishments have been recognized by the business community here in Georgia," said Mark Seeley, Chief Executive Officer of Intellinet. "Since joining Intellinet, Brian has been a key contributor to the outstanding financial management of Intellinet's operations. He has provided the rigor, process definition and operational environment for profitable growth by improving financial stability, increasing profitability, and managing operations." The CFO of the year Award winners and finalists were recognized this morning during a breakfast event at the Atlanta Marriott Marquis.